This adorable set of gallery wrapped canvas prints would make a perfect addition to any little girl's room! 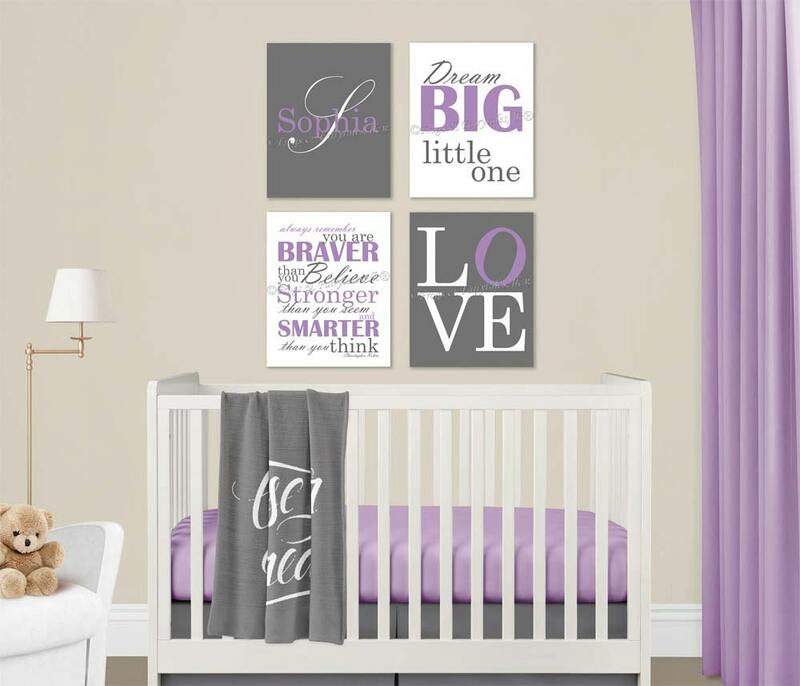 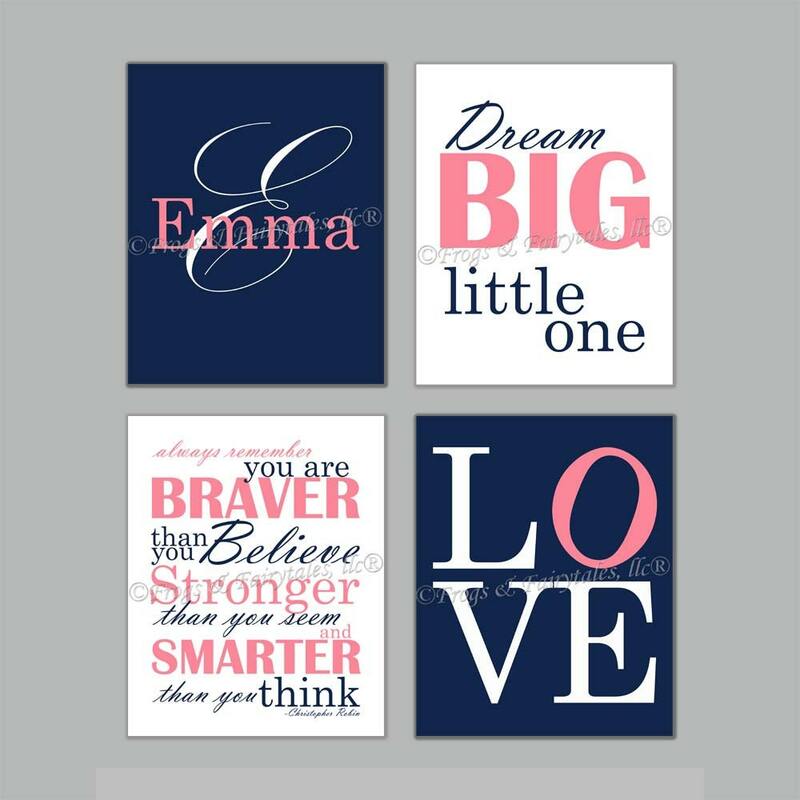 This set of 4 canvas prints includes a print with the child's first name and their initial behind it, a print with the saying "Dream Big Little One", a print with the Christopher Robin quote-"Always remember you are braver than you believe, stronger than you seem, and smarter than you think", and a print with the word Love. 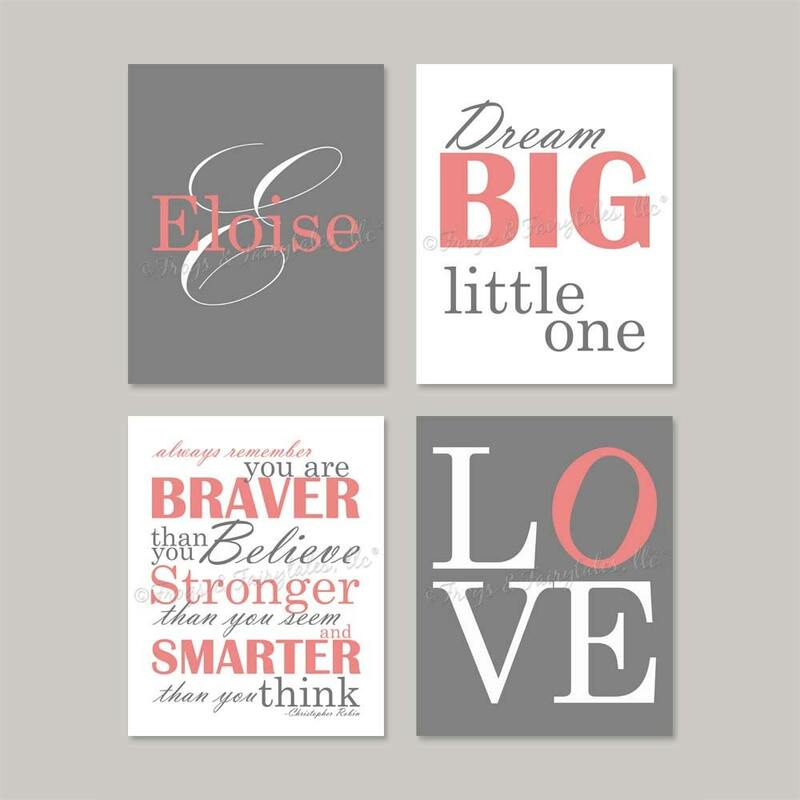 Please leave the name to be added to the first print in the note to seller section of your invoice. 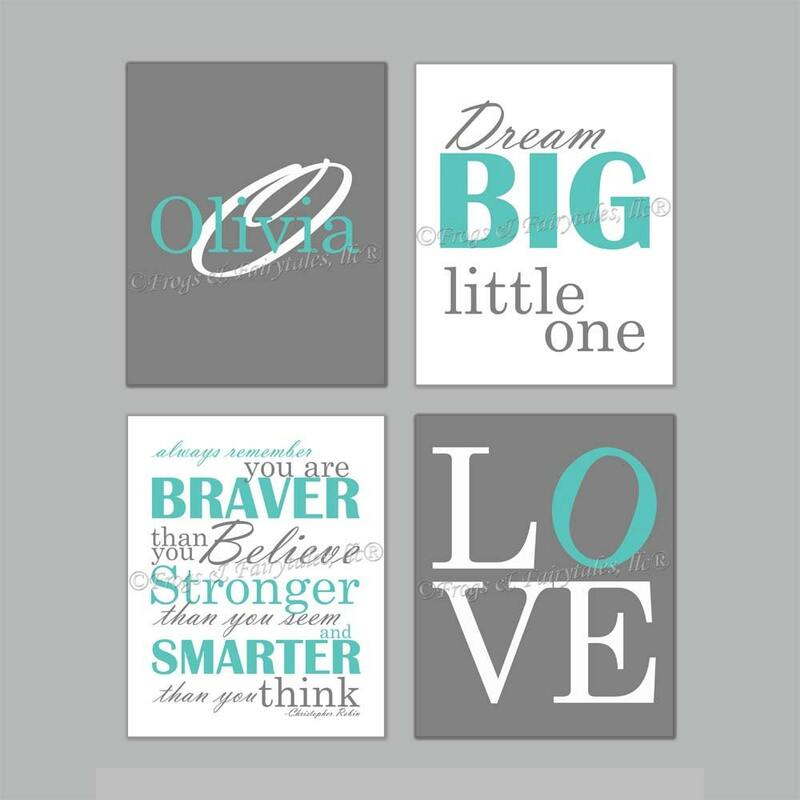 Watermarks will not appear on your actual prints.